John Wayne 1911 CO2 Pistol | BUDK.com - Knives & Swords At The Lowest Prices! 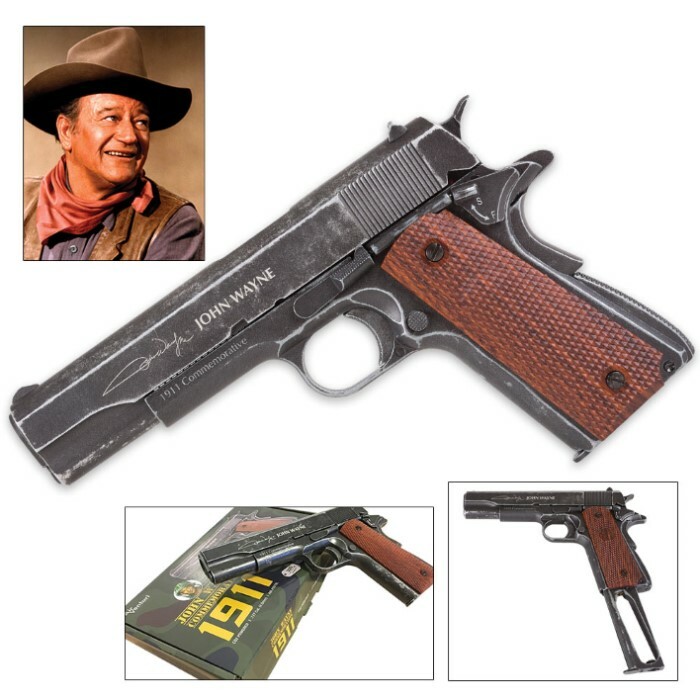 Featuring The Duke’s very own signature, our officially licensed John Wayne 1911 CO2 Pistol has tons and tons of personality, making it an awesome one-of-a-kind collector’s item! 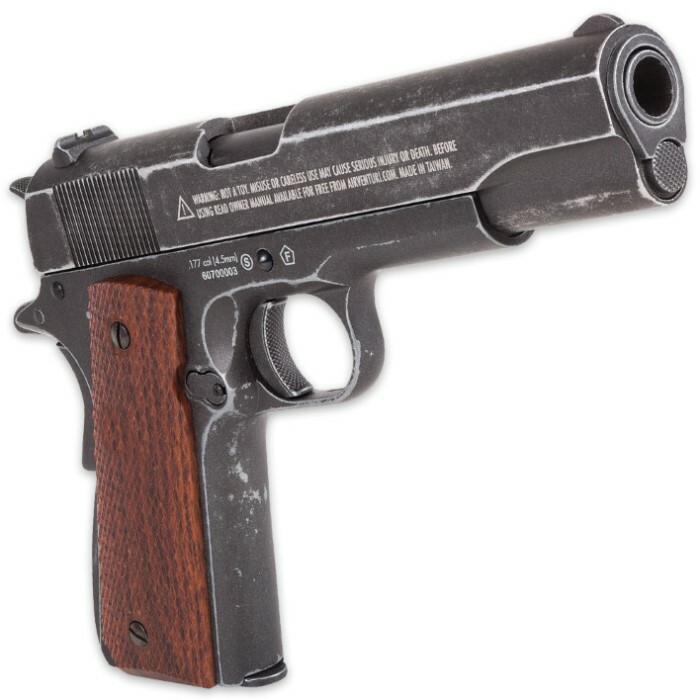 The semiautomatic air pistol has a metal construction with brown checkered grips and realistic blowback. It also features fixed front and rear sights. 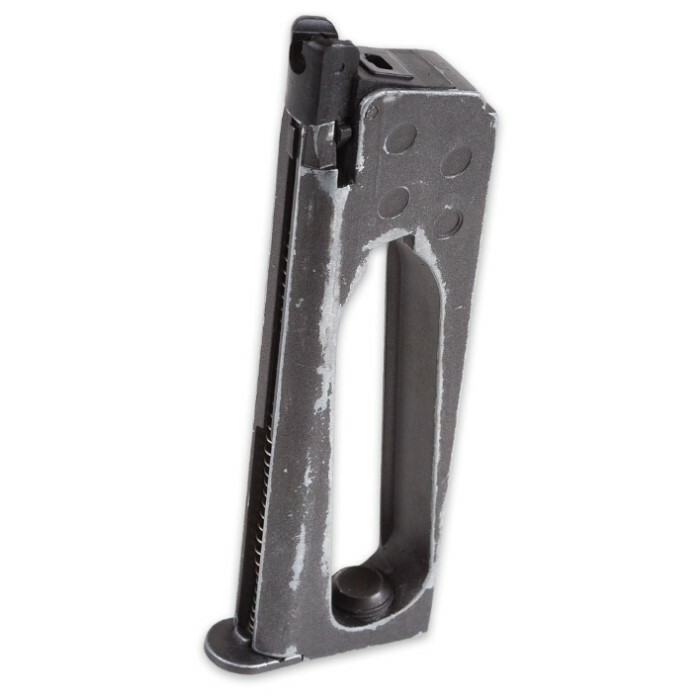 The removable magazine will hold 18 BBs and the kit comes with 100 BBs. This commemorative John Wayne 1911 Pistol uses 12-gram CO2 cartridges.